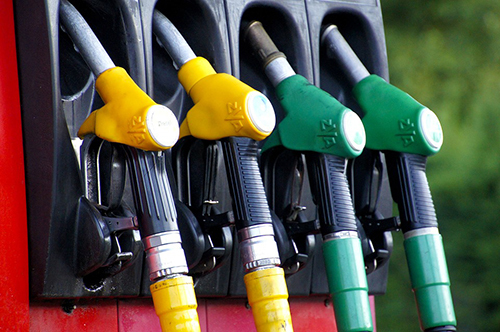 How Much Do Retailers Really Make on Gas? The real answer is surprisingly complex. Gasoline profit margins are noted for being razor-thin. In some situations, operators even sell gasoline at a slight loss in order to keep customers flowing through their stores. This “lack of breathing room” and the fact that gas prices are usually prominently displayed on a site’s premises, where customers and competitors can clearly see them, makes petroleum retailers acutely sensitive to how their prices affect business on a daily and even hourly basis. Price conscious vehicle owners and aggressive competition make it nearly impossible for retailers to grow profit margins, especially in crowded commercial areas. Even a high level overview of what goes into the retail cost of a gallon of gasoline reveals the complexities of trying to market gasoline to the public. Considering the enormous equipment costs and regulations that govern fuel sales, the margin of $0.02/gallon (or 0.0057%) in the image above likely seems daunting to someone approaching the industry for the first time. Even with national average gasoline sales at 4,000 gallons per day per station, a business selling gas on September 24, 2018 in California was making just $80.00 in profit per day for fuel sales. Fuel costs change daily and often hourly, so updating prices at the pump requires constant attention over the course of a day. The margin for error is tiny: a cost change of just a few cents can create a radical difference in profitability as shown in the table below. Navigating the complexities of what supplier to buy from as well as when to change prices and by how much is challenging, but mastering management of these moving pieces can make or break a gas station financially. Barring an incredibly profitable inside sales rate, gas stations need to at least break even with their fuel sales, and even doing this in the constantly evolving world of selling gasoline takes a lot of hard work and attention to detail. What makes the management of fuel prices even more convoluted is that each retailer’s underground storage tank is full of fuel bought on different days, for different prices. 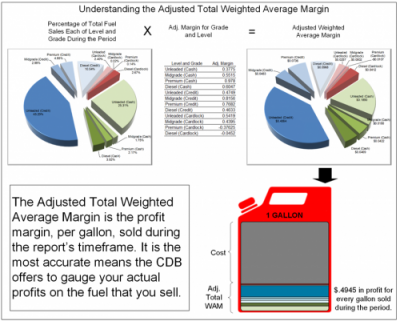 Different fuel grades bear different margins, and often are combined with one another. Pricing levels such as Cash, Credit, and Fleet add further profitability variables to the mix. 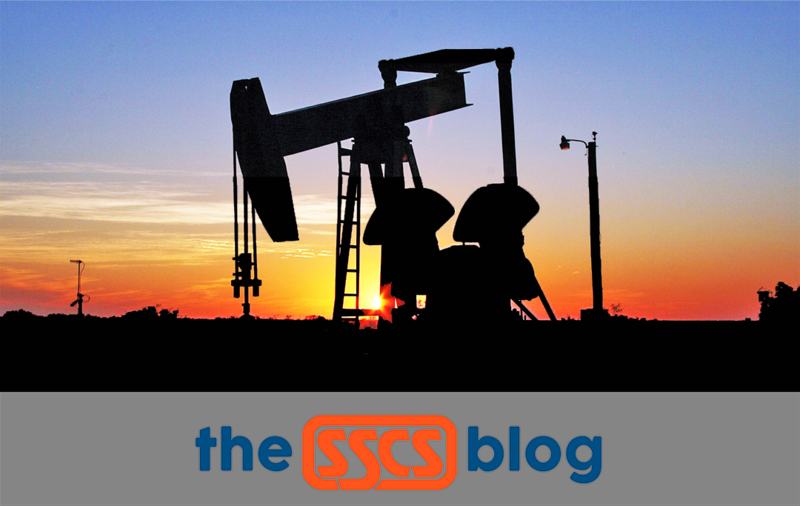 Here at SSCS, we’ve created the Computerized Daily Book (CDB) back office system for petroleum retailers, complete with a Fuel Management module that provides operators the ability to track every aspect of their fuel profitability, down to the minutiae of grades, tender types, and average costs. In addition to providing control, the module includes a number of vital fuel-related reports such as Weighted Average Margin—a detailed, accurate method that is unmatched for monitoring, tracking, and documenting actual profit margins on fuel across a user-defined time frame—and Underground Storage Tank, which helps you remain in compliance with environmental regulations in addition to providing info to help you make sound pricing decisions. When we began creating software for gas stations back in the early 1980s, we saw a substantial need for an automated system that quantified and analyzed profits on fuel sales. As the industry has evolved over the past four decades and in-store retailing has become the most prominent contributor to the operator’s profitability mix, it’s easy to overlook the impact that fuel continues to have on a site’s bottom line. But the fragility of fuel margins suggests, if anything, that additional vigilance may be in order, which is why fuel management remains a continuing focus of our development department. Managing fuel may seem a granular exercise to the person on the street, but we know, and our customers know, that running a gas station profitably means paying attention to tiny details—details that result in attractive prices to motorists, and healthy profits for retailers.